The search is over if you have been trying to identify a Livingston, Texas bail bondsman that you can trust. We have been serving this community for years, and the relationships that we have developed are extremely meaningful to us. Our bail bond company endeavors to assist our clients in multiple different ways, and it is gratifying to help them change their lives for the better. Livingston is a charming town that serves as the County Seat of Polk County. It has a rich historical tradition, and outdoor recreational opportunities abound in the area. Though it is a great place to live, unfortunate circumstances can strike anywhere. Whenever you need a bail bond in Livingston, Texas, we will be here to help. If you have been charged with a felony, the immediate aftermath can be overwhelming. The sooner you can obtain your freedom, the better, because you have to get started working on your defense. Of course, the bail can be rather high for felony cases, and this can be a major source of concern. When you are in this type of situation, you need a Livingston, Texas bail bondsman that can post significant sums of money. Felony bail bonds are an area of specialization for our company, so you can rest assured that we will be able to obtain your release for you in a timely manner. Plus, we offer payment plans, so you do not necessarily have to come up with all of the bond at once. 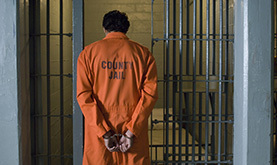 We provide bail bonds for charges of all severity levels. If you are being held on a misdemeanor, we can take the right steps to get you out of jail. Our company also specializes in DUI bail bonds and bonds for other types of traffic violations. Regardless of the nature of the offense, we are available to provide bail bonds in Livingston, Texas 24 hours a day, seven days a week. In addition to the posting of the bonds, we help clients understand the legal process that they will face going forward. If there is a need for substance abuse counseling, we can recommend sources of assistance, and we can share information about government resources. Whenever you need a bail bond in Livingston, Texas, give us a call at 713-676-2227 or 936-703-5050 and we will take care of the rest. If you would rather reach out electronically, simply fill out the contact form on this website.